Cameramen have a habit of yielding to the director. That’s natural. The director “reigns”, after all, and owing to that everyone or everything that comes under his purview must, as a matter of course, give way to what he wants. There are of course times when this isn’t the case, when the agency of an editor, photographer, or even actor prevails over the ultimate auteur of a film so much that when we see it, we see those little, little details that could only have come from them. The director isn’t always king, therefore. Not by a long shot. Sri Lanka isn’t that different. On the other hand, compromise is the name of the game when it comes to the movies. One comes across collaborations between artistes, more particularly between filmmakers and editors or photographers, and one can, if discerning enough, argue that one phase of those filmmakers’ careers is different to the other on account of their choice of crew members. Few would contend, after all, that the films of Lester James Peries shot by the late Willie Blake are the same as those shot by Donald Karunaratne (compare Gamperaliya and Kaliyugaya and you will see why). Few would also contend, however, that the gap separating these two artistic sensibilities is unbridgeable. The point is that it all depends on perspective. If you’re a filmmaker, you claim authorship. It you’re not, you don’t. And so Satyajit Ray claimed that Citizen Kane and The Magnificent Ambersons were one and the same owing to Orson Welles’ direction, despite the fact that he used different cinematographers for them. And so Gore Vidal, by the same logic, claimed that the two were different despite Welles BECAUSE of the different cameramen. Ray was a director, Vidal was not. The one was an auteur, the other was a collaborationist. Andrew Jayamanne was a collaborationist. He was a cameraman. Crass, but that’s the best way one can describe him. He adapted to the director he worked under, even when that director altered his usual style and went for something different. He had his views on his craft, no doubt, but like all collaborationists he chose to privilege what the filmmaker wanted. He was there with some of our most revolutionary artistes, as they oversaw the second biggest wave in our cinema after Rekava. Jayamanne would have been 72 had he lived. We lost him two years ago. 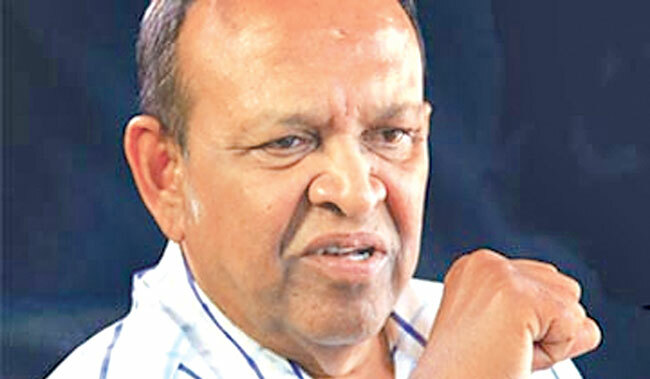 He was born in Periyamulle in Negombo in 1943. He came from a family of devout Catholics. Naturally, religion figured in his childhood. Educated initially at St Anthony’s College in Dalupotha, young Jayamanne was later moved to St Aloysius Seminary in Colombo, where he studied to become a priest. He abandoned that vocation on doctor’s orders, and opted for a more hands-down profession. That profession coalesced into his first love, photography, one he had indulged in while at school. Eventually he was employed at the Kotahena Radio and Electronics Laboratory. He was not quite 20 when he joined Vijaya Studios in Hendala. There he met Titus Thotawatte, who had by then decided to move into his own career. In 1970 the two of them got together for Haralakshaya, which marked both their debuts. Haralakshaya was a box-office hit and established Thotawatte as a weaver of stories, who could transform real life into fiction and win dividends at the ticket booth. As for Jayamanne, his fate too was sealed, and for the next few years, the two of them collaborated over some of the more middle-of-the-road landmarks in our cinema: Atheethayen Kathawak, Sihasuna, Mangala, Sagarika, Maruwa samaga Wasaya, and of course that perennial classic, Handaya. Handaya came out in 1979. That same year, Vasantha Obeyesekere scripted Palagetiyo. In keeping with his earlier films, he went for an anti-romantic and naturalistic style far removed from the conventional cinema of the time. As far removed from Thotawatte’s universe as it could be, there could have been no film more different to the kind that Jayamanne had shot. But Obeyesekere chose him and, for his most imaginative film until then, Jayamanne managed to shoot and bring out the clash of class conflict and love which congeals into tragedy in the end. Palagetiyo marked the only time the two of them worked together. Owing to his success in it no doubt, he was chosen by Dharmasiri Bandaranayake (who had acted as Sarath, the hapless protagonist, in Obeyesekere’s film) for his own debut, Hansa Vilak. That debut brought out Jayamanne’s dexterity: while Palagetiyo had been rooted in a simple, naturalistic style reminiscent of the post-war American and European cinema, Hansa Vilak was relatively flamboyant. I remember Bandaranayake telling me after the late Henry Jayasena that it shared affinities with the films of Ingmar Bergman. What he meant, of course, was that the clash between fantasy and reality represented in the story was so strong that it was hard at times to distinguish between the two, something which Premasiri Khemadasa’s score and (without a doubt) Andrew Jayamanne’s dreamy photography added to. 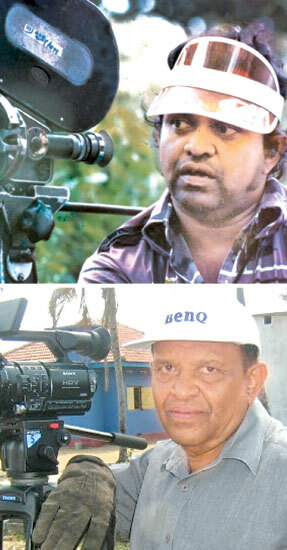 Jayamanne shot two more films for Bandaranayake, Thunveni Yamaya (his most underrated and most dreamy) and Suddilage Kathawa (which was more rooted). 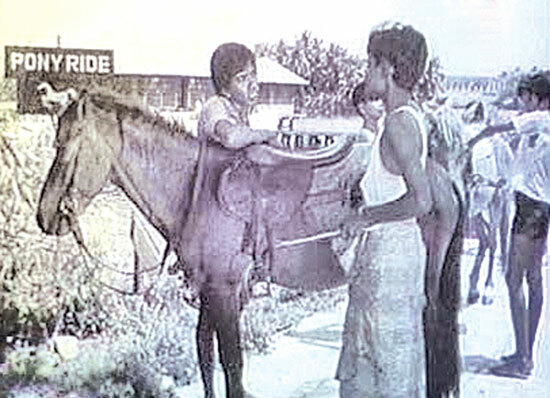 In the meantime he worked with other visionaries, ranging from the middle of the road H. D. Premaratne (for four of his later films, including Mangala Thagga and Visidela) to the underrated Parakrama Niriella (Siri Medura). He adapted and adopted, gave in to the vision of the director, asked no questions, and helped us understand the cinema from the standpoint of everyone involved in it. There’s no doubt, after all, that Suddilage Kathawa is miles away from Sumitra Peries’ Sagara Jalaya, the only commonality between them being the fact that they were based on stories authored by Simon Nawagaththegama. The latter was shot by Donald Karunaratne, the former by Jayamanne. But still, on account of Nawagaththegama perhaps, both feel as though they were structured and created by the same crew. I am not aware of the dynamics involved in creating and nurturing a work of art, least of all films. But looking at these two masterpieces, I’m reminded of how Satyajit Ray inadvertently contradicted what Gore Vidal take on Orson Welles’ Citizen Kane and The Magnificent Ambersons. The two were the same insofar as the director was concerned: the cameraman was different in each. But in the case of Suddhilage Kathawa and Sagara Jalaya, it wasn’t just the cameramen: even the director was different. And yet, they didn’t seem worlds apart. They seemed to have been authored by the same person. I’m sure there’s a reasonable explanation for this. Or perhaps I am wrong. I wouldn’t know. But seeing how both the director and cameramen were different, it would be unbecoming on my part to not pay a tribute to Jayamanne, who persisted despite these subtleties and gave us a film that at once belonged to its ultimate creator, the author and scriptwriter (Nawagaththegama deserves another space in this column to himself, not least when it comes to his contribution to our cinema). I believe that puts to rest the authorship debate and that puts to rest (at least partially) the myth that the director was and is king, for the truth of the matter is that in a collaborationist medium, there’s no supremacy. Only compromise. True, at some point one participant gets to have a bigger say in creating a work of art, but all in all, it’s about giving into a higher, overwhelming vision. I believe, therefore, that cameramen are more often than not at the receiving end of the director. They are sensitive to the demands of other crew members, including scriptwriters, and in the end subsume their vision so completely that it’s hard to tell the difference from one work to another on the basis of their contribution. Just as well, I suppose, although one comes across instances of them having a bigger say nevertheless. Jayamanne, going by all this, was no different. He shot some films and oversaw the camerawork in others. He was content in giving us landmarks in our cinema, subservient to the demands of the director but not, in the long run, completely deferential to it. For the role of the cinematographer is not to genuflect before the filmmaker, but to ensure that the film in question achieves its own ambition. There can be no ownership rights, then. There can also be no bragging rights. In the end, it’s about getting together.